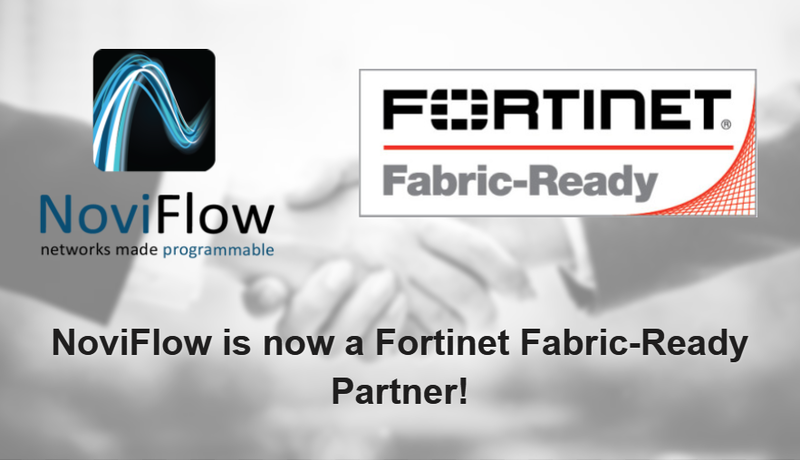 The newsletter is intended for all existing and prospective customers of NoviFlow’s high-performance forwarding plane products and applications, and will focus on the usage being made of our products by customers, elaborations of product features, information on new releases, participation in events, and product and SDN market news. The featured article of this inaugural issue is AARNet’s truly remarkable Australia Wide-Area SDN Testbed connecting Sydney, Melbourne, Perth and Seattle, implemented as a 16,000 km wide router using four NoviFlow NoviSwitch 1132 switches. 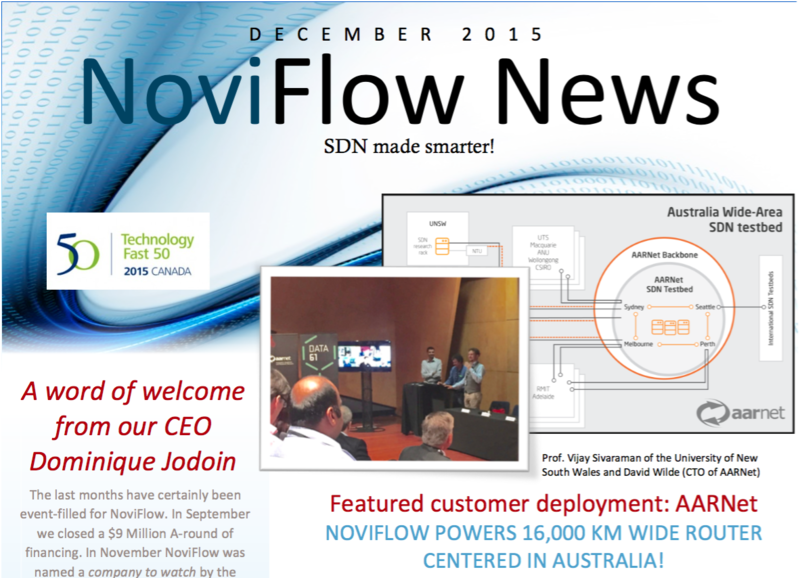 Click here to download the first issue of NoviFlow News or subscribe using the box on the right!